09-15-18 SOUNDCLOUD PLAYLIST: Listen to two songs from The Akashic Record, plus a new demo track especially written for upcoming Gaffer Fest in France 29. september, 2018. FIGHT THE POWER: In recent years with Facebook and other well designed social media platforms, we have almost forgotten our little personal space here. News will from now on be posted here first. NEXT LIFE SOLO: During our 19 years of existence we have worked with many skilled artists, some more frequently than others. But there comes a time in people's life when priorities change and there simply is no room for a full time project like NEXT LIFE. But worry not, this project is planned to continue for 82 more years (assuming that Hai lives to 120). The project might feature guest artists from time to time, then mainly Tormod Christensen (Synth 2001-2008, vocalist 2010-2018). The project has been under a lot of changes in recent years. The Akashic Record was orginally written as a full length album with live drums, and so it was recorded. However, we decided to drop those plans due to drummers coming and going, and living far away. Then album was re-written to digital drums, and finally cut down to a mini album. The Akashic Record is available digitally (Gaffer Records) on Bandcamp, Spotify and iTunes, as well as vinyl 10 inch (Etch Wear). The vinyl edition is limited and will be sold at our concerts. We hope you enjoy! ALIVE (MUSICVIDEO): This is probably our first conventional musicvideo. We used the video projection for the song as stage lights. With several takes and everything. Haha. Filmed by Carsten Aniksdal. 03-19-14 ECLECTIC BRUTALITY - DEMO 2014: We have just uploaded a couple of new tracks to our Soundcloud as a lil' demo. Stop by and listen to Next Life with vox. Thanks to Monster X for inspiration! DEMO REVIEW: Furoreiharare.com were so kind to review our songs. Thanks, guyes!!! LAST NINJA FUN: Learn how to walk on the water in The Last Ninja by watching this video. The bug was discovered by Hai, who also is the player in the video. PARTNERS: As time has gone by, many of our dear partners have fallen away or have become less actiive. We are therefore looking for new partners within booking, management and label. Please get in touch. 03-04-14 NOT DEAD: Dear visitor, thanks for stopping by our website again! 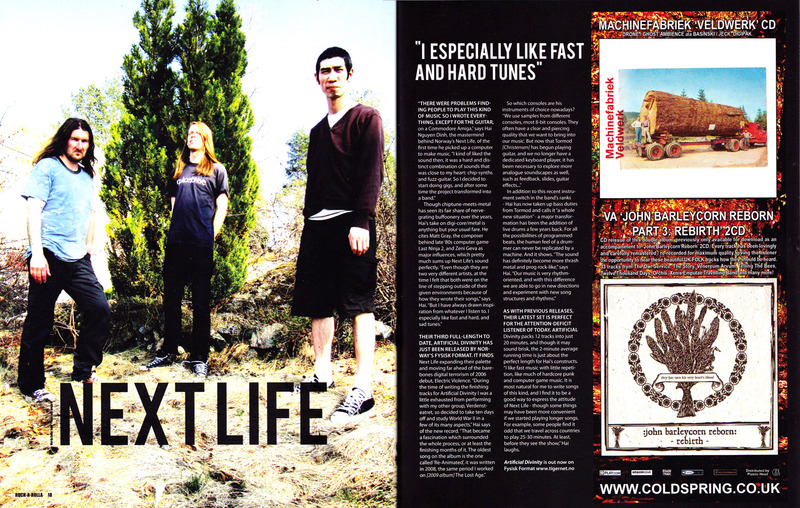 Next Life are far from dead, we have merely been focusing on getting that next album ready. As of now the songs are undergoing live-tests, and are seriously re-written from one gig to another. Stop by one of our SHOWS and have a peek. VOX: After 15 years of being an instrumental project we finally decided to start working with lyrics and voice. It sounds, uh, weird (in a good way)! FUN WITH DRUMS: A little video of Hai playing on Anders' drumkit in our rehearsal space. 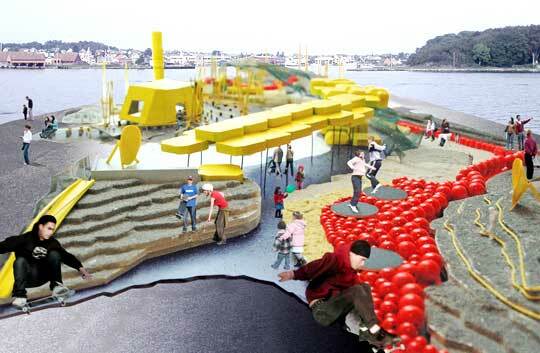 BLADE OF COURAGE RE-WRITTEN: For the art-project 17.000 Islands by Thomas Østbye and Edwin. GREETED BY ASSÛCK: The one and only Steve Heritage of Assück commented on our version of their song Salt Mine. "Better than how I originally wrote it." Not true, but nice to hear. RESPECT!!! 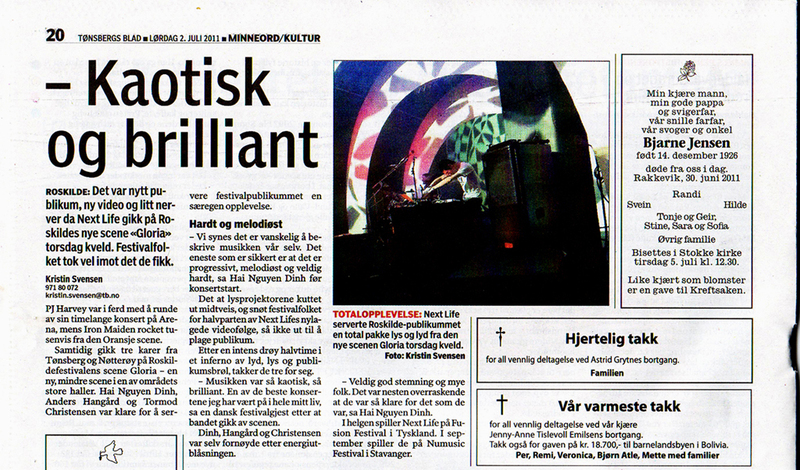 MORE 2013 REVIEWS: Our show at Slottsfjell Festival 2013 reviewed by NRK P3 and Tønsberg's Blad. Here is also a review of our silent game show (Final Fantasy 7) under Tromsø Internasjonale Filmfestival. NYC REVIEWS: Our trip to New York (image above) was fantastic, we even had the time for some quality gig- and bird-watching :) Check out two reviews of the show: Feast Of Music and Halcyonline (contains pictures). 1ST TIME IN RUSSIA: We will play in St. Petersburg the 19th May. We are excited!!! 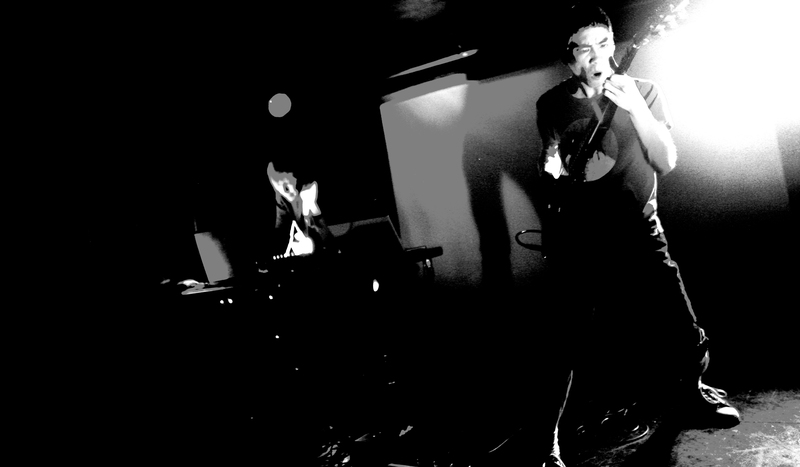 NEW YORK: We have been confirmed for the Unsound Festival in New York, 19th April. See you there!!! And stay tuned for more shows in the area around this period. YEAR OF THE WATER DRAGON: The age of water is upon us and we hope it will bring you great inspiration and acceleration!!! NEW ALBUM : Songs are now being written for our next release, which doesn't yet have a final title. So far we can say that the tracks are slightly longer than and more dynamic than usual, and that the bass sound has gotten alot better. To be expected in the end part of 2012. 3D CITY MODEL: We are working to extend our visuals with more vector based graphics, as opposed to the earlier 2D-based material. It will take some time to incorporate these elements, so in the meantime we will appear as your ordinary punk band, no mind tricks, just plain core brutality, with some dungeons and dragons thrown into it, hehe. NORWEGIANISM: A new label called Norwegianism Records has been founded in Holland. 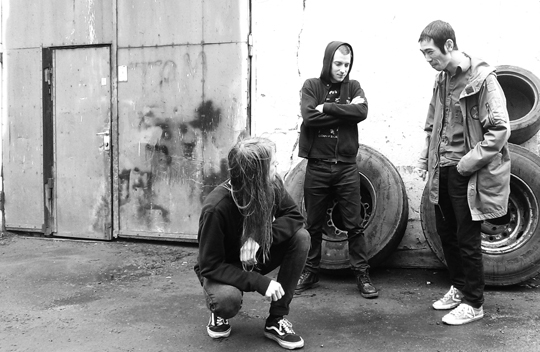 They work with noise and grindcore an experimental stuff. They will release five of our songs on a mini album entitled Year Of The Metal Monkey. 50X only! SHOWS: New shows are being planned and will appear in the SHOWS section as they are confirmed. We wll also post show updates to our facebook, and myspace pages. INTERVIEWS: We did a couple of interviews last year, here is one in Rock-A-Rolla magazine, Metal Hammer Norway, and one at Clashmusic website by music critic/writer Ann Sung-an Lee. ARTICLES OF ROSKILDE SHOW: Here you can read two articles in Tønsbergs Blad related to our show last year at Roskilde Festival in Denmark, before show and after show, hehe. In norwegian. 07-07-11 ARTIFICIAL REVIEWS: The releaseparty at Blå was a blasts, an evening we will not forget. Thanks to everyone who came, and to the other bands Okkultokrati and Årabrot who both did mindblowing shows. DIVINE FRIDAY: Today we proudly present to you the third album in our catalogue, it is named Artificial Divinity and will be available on CD, LP and digital. The album is distributed in Europe by Cargo/Suburban/Goodfellas, and in the US by RedEye. Here is the first review in english. We hope you will find it enjoyable!!! 12-05-11 NEW SHOWS: We are currently working with new shows + Europe tour this fall. First gigs will be Fusion Festival in Germany (1. July), and the legendary Roskilde Festival in Denmark (30. June). See you there!!! LINE-UP TWEAK: Henceforth Hai shall be known as the Bass-player, and Tormod as the Guitar-player!! PRE LISTEN: A couple of tracks from the album is already on the internet. To pre-listen visit Myspace and Soundcloud. FURTHER NOTICE! : Because of an inconvenincy we have decided to release the entire album (both CD/LP) on Fysisk Format, the label that also released The Lost Age in 2009. We thank Joris and Conspiracy Records for working with us so far and we hope to pick that up again in the future. The release date has now been set to 24th June 2011. 20-03-11 ALBUM UPDATE: The tracks are now finished and ready. It has been an exciting process in which we have discovered new and invigorating aspects of our own work. Everything was recorded at Athletic Sound in Norway, also, for the first time did the tracks on analogue tape. The cover is currently being constructed by Are Mokkelbost, and we can say so far it looks very good! Untill further notice, the release has been set to somtime in August this year. 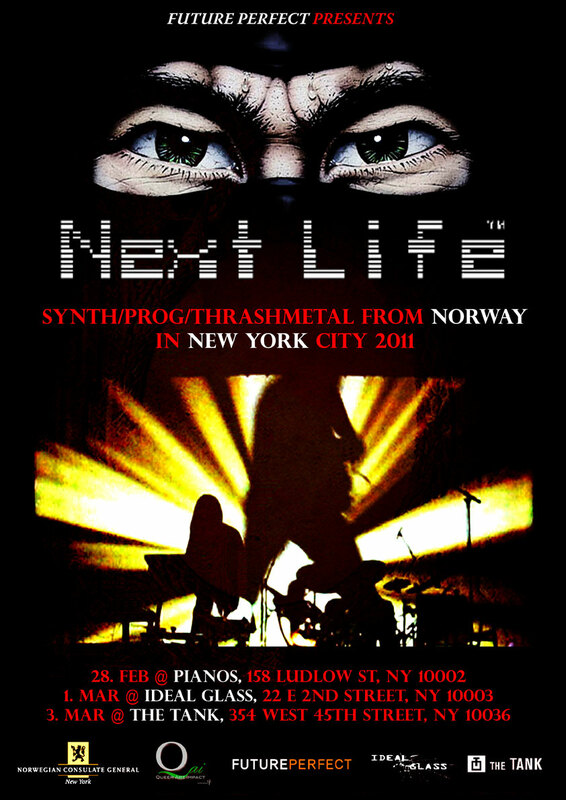 22-02-11 NEW YORK SHOWS: Future Perfect presents NEXT LIFE in New York City! Check SHOWS and frontside poster for dates and venues. WE LOOK FORWARD!!! WIKIPEDIA: Thanks to Ann Sung-an Lee we now have a Wikipedia page. Check it out! SITE IS BACK: We recently have had some problems with the server that even we, with our superior computer skills could not solve, hehe. Sorry for being so dead lately. Also, Hai is travelling a lot with Verdensteatret (image below) resulting in a temporarily gig break. THE NEXT ALBUM: We are almost finished writing songs for our next album, which will be released next year by Conspiracy Records. 01-02-10 RESURRECTION CD + TRAILER: First of all, Haust / Next Life split 12" is OUT NOW!!! Order your ticket to Resurrection here. We are also happy to announce that our part of the split will be released on CD very soon. Here is a skateboard session to promote Resurrection EP! SHOWS WITH OWEN PALLETT: We will play four shows with Owen Pallett on his Europe tour. We can hardly wait to play for the first in the U. K. See you in the pit!!! 16-01-10 REVIEW IN LOCAL NEWSPAPER: Here is the first review of Resurrection EP, a.k.a Haust/Next Life Split 12". 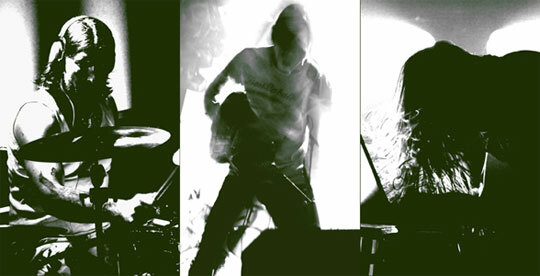 14-12-09 RESURRECTION EP: Our split record with Haust will be released late January 2010 on Fysisk Format. This is our very first production with drums, and it has been an exciting process! Vinyl only. We are now working to complete our next album. SHOW WITH MAYHEM: On 17. 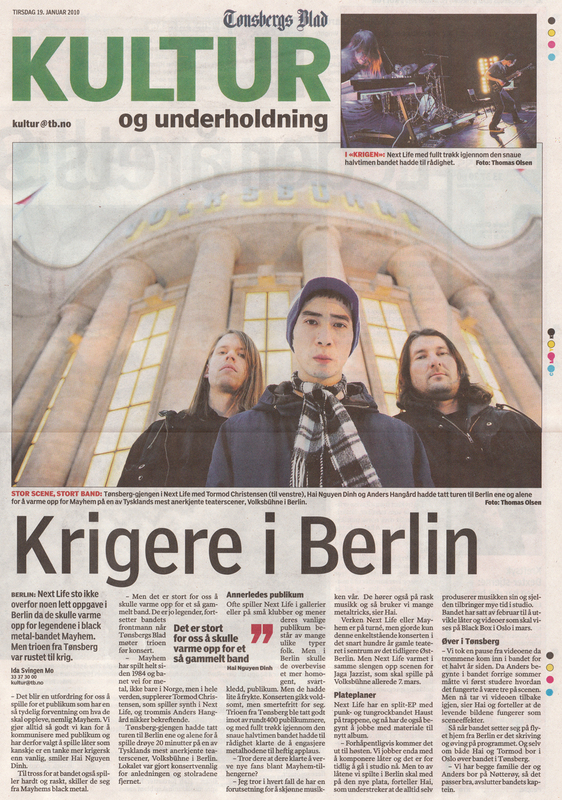 January 2010 we play support for the norwegian black metal band Mayhem at Volksbühne, Berlin. SHOWS are coming up in Norway, Switzerland and Hungary, this is constantely updated. 13-07-09 10 YEARS MYSTERIOUSLY PASSED: This August we will mark the ten year's anniversary of Next Life. A birthday show together with Lukestar will take place in Oslo at Revolver 29. August. You are welcome! Thanks to everyone who listened to and supported Next Life throughout the years, because of you the next 10 years will be of more inspiration and more joy. REAL DRUMMER: We are happy to introduce a new performer: Anders Hangård (NoPlaceToHide, Saprophyth). So If you ever wondered (like us) how Next Life would sound with live drums, now is the time :) We are currently rehearsing for the first two shows in Norway, which will be in Tønsberg 16. Juli, and Oslo 29. August. Currently booked shows will otherwise go with the old line-up. BACK FROM DONAU + NEW REVIEWS: It has been a pleasure playing at the Donau Festival in Austria this weekend, thanks to a great audience and the organizers. Also, some new reviews of The Lost Age has showed up on the web, here is one in english and one in norwegian, and an another in english. 25-03-09 SHOW WITH ZENI GEVA: We are going back to Worm in Rotterdam, this time it will be to play with, and see the legendary band Zeni Geva by whom we have been so much inspired throughout the years. WE LOOK FORWARD! 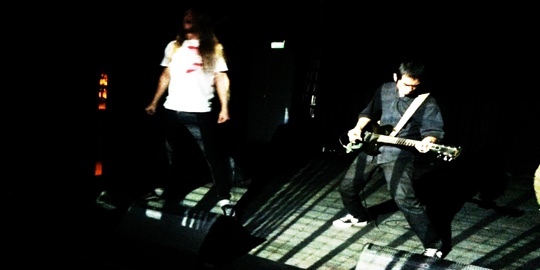 VIDEO FROM SWITZERLAND: This is from the last show on our tour, at Hirscheneck, Basel. Thanks to Marlon McNeill and Dex for filming with their mobilephones. Here is The Mirror live. PHOTOS ARE MOVED TO MEDIA SECTION: From now on photos will be found under the MEDIA section from the top menu. 14-01-09 MORE REVIEWS! : That's just great, two nice reviews were published yesterday in the norwegian newspapers Dagbladet and Dagsavisen. Check them out in the ABOUT section. SHOWS: Be sure to check out our SHOWS regurarily as it is frequently updated. Gigs in Trondheim, Drammen and Tromsø has been added + mini Norway-tour with Snöras + we are currently in contact with some great festivals this summer. NEW ALBUM IS OUT TODAY: Today is the day The Lost Age hits the streets! You can also buy it from one of the links below. Thanks to all the attendants to our release show, it was mighty funny to play :) And thanks to Hugo Alvarstein for superbrutal live-sound. Grab it here: Tiger, Platekompaniet, Play.com, CDON. A couple of songs can also be pre-heard at Myspace. MISSSING GREETS: Because of inconvenience with the cover design, the "greets and respect"-list was left out from the album. Therefore we post it here. ALSO, THANKS AND HAPPY 2009 TO ALL FANS AND COLLEAGUES!!! SEE YOU IN NEAR FUTURE! EURO TOUR 09: Planet Rock presents NEXT LIFE - THE LOST AGE TOUR 09. Check out SHOWS for dates and venues! 11-12-08 REFLEX: Avoid being run over by cars like Hai almost did the other day :( Be sure to buy a Next Life Reflex for yourself and your children! RELEASE SHOW IS MOVED: We will do a release show at Garage, Oslo instead of Recordshop Tiger. The date for this show is now 29. December 2008. The record will be available as well as Next Life relflexes (yellow/white) and stickers! Other artists that will play this evening are Miss Harmonica and Magnus Moriarty. You are hereby invited to the x-mas fest you'll never forget!!! 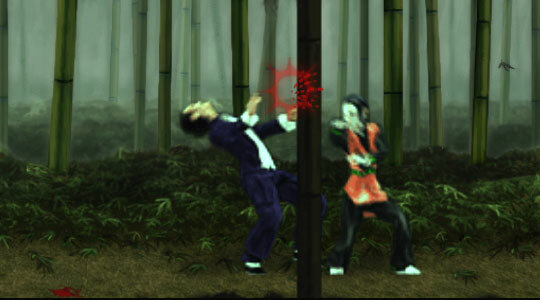 KILLER REVIEW: This review was posted recently, it is especially nice and in english! SMARTFISH COMMERCIAL: Hai wrote music and edited a commercial film for a new softdrink product, Smartfish. Have a look here, or download in the MEDIA section. FIRST REVIEWS: Read the first reviews of The Lost Age :) Plan B and Tønsbergs Blad, in norwegian. HULEN / BERGEN: Gallery Volt has booked us for a show at Hulen, Bergen on 31. January 2009. If you live in Bergen, stop by for a metal-monkey encounter of the first kind! Take a look in the SHOWS section for upcoming shows, more will appear soon. 14-11-08 ALBUM RELEASE POSTPONED: The deadline is already broken because of delay at the pressing-factory. Therefore we have to postpone the release to the 5. January 2009. Pre-orders/listens are available from the Tiger-site , and CDON. VF24: We were recently interviewed by the local tv-station VF24. They also showed Next Life videoprojections, lights and a live clip! SONIC VISTA: Hai is part of the "audio-bench"-project Sonic Vista. A bench located in Geoparken in Stavanger/Norway has a built-in headphone output from which the tunes will be played. We also put out the songs in the MEDIA-section. RECORDING: The recording of our next release is finished and we can now move on to the next part of the process, which is to actually release it :) So get ready for The Lost Age by Next Life!!! NEW SHOWS: Check the SHOWS section for upcoming shows this summer! 06-03-08 ARTE TELEVISION: Next Life, together with KILLL and Sunn O))) was featured in the TV program Tracks which is broadcasted through ARTE Television in France/Germany. 28-02-08 NEW PRESS PHOTO: Thanks to our old dear friend Stian Evensen we now have a press-photo with the current line-up. Hi-resolution edition will be available soon. INTERVIEW: We were recently interviewed by the student magazine IKON which will be published the next month. 17-01-08 A NEW PERFORMER: Trond Jensen A. K. A. TDS will from now on do samples and noise for Next Life, and most certanly he will bring some of his brilliant C64 programming into the project as audio and visuals :) Welcome to TDS! 18-05-07 NUMUSIC FESTIVAL 2007: Just got in touch with Martyn Reed and it seems we will be entering the Nummusic for the third year in a row :) This festival in south Norway has been a great pleasure every year, so this we consider as very great news. See SHOWS section for date. 30-04-07 FIRST GIG THIS YEAR! : We will play together with Leadershit (SPA), Lucky Malice, and our old friends Summon The Crows at Blitz 8. June. It will be alot of fun and it´s a gig to benefit RadioOrakel. 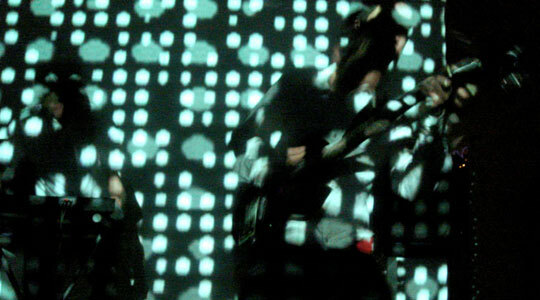 LIVE RECORDING FROM TRANSMEDIALE 2006: Listen to a song that we performed at Club Transmediale last year with Katrine Bølstad on the vox! HAPPY CHINESE NEW YEAR! : We wish all friends, fans and colleagues great luck and joy in the year of the metal pig! EXHIBITION: Hai will be a part of the exhibition "How Imitations Get Cornered by the Real" at UKS. The picture above was taken from an earlier exhibition (2003), which in technical terms will be a little similiar to the piece at UKS. Free drinks for sure, and lots of fun at vernissage 2. March! RECORD LABEL WITH SECOND PROJECT: Ah, this is great, TurboRaketti project by Hai and our technician Trond just signed to Disasterpeace´s new label (no name yet) for a CD release. Stay tuned for more information soon! DEVELOPING LIVE SHOWS: We are having a temporary gig-break, just received long awaited equipment that will prevent us from doing boring shows. Yeah, at least it says so on the box :) the rest is a secret. 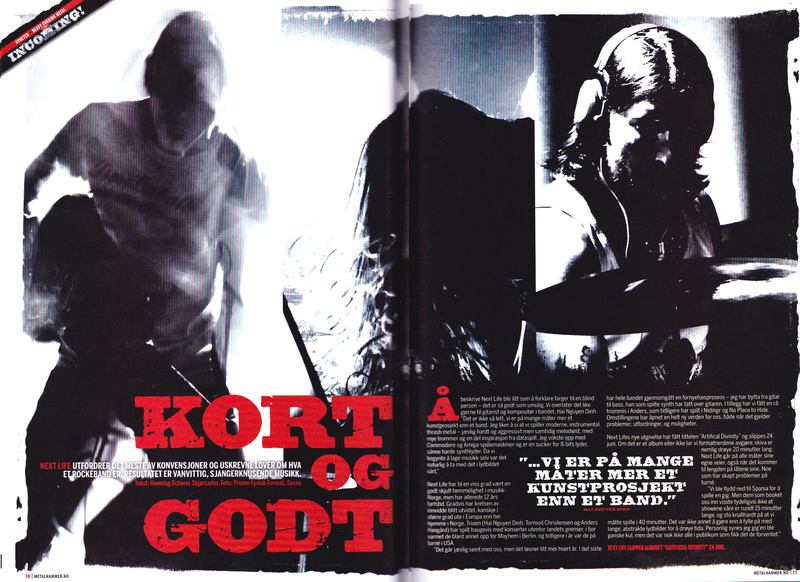 DEBUTS OF THE YEAR 2006: We were happy and surprised to see "Electric Violence" among the "debuts of the year" in the Norwegian newspaper Morgenbladet. Hehe, Maybe we get a Nobel Prize for the next album as it will be at least ten times better! EXHIBITION: NL guitarist Hai contributed with a videopiece to the exhibition "Hit That Piece Of Ivory There" at Ny Musikk in Oslo. BETONGSLOTTET: We played at preimerefest at Betongslottet in Oslo for the movie "Si Sedes Is" by Thomas Østbye. NL guitarist Hai also appears in the same movie as a lost composer speaking about freedom and money! 21-09-06 NEW ALBUM IN PROGRESS: Currently writing songs and doing test recordings for our next fullength album "Digital Eclipse" (working title). Get your ninja outfit ready! T-SHIRTS ARE HERE: We can now offer a product that actually is of any use :) next priority will be the Next Life cigarettes, and for this we desire a partner in the tobacco buisness. 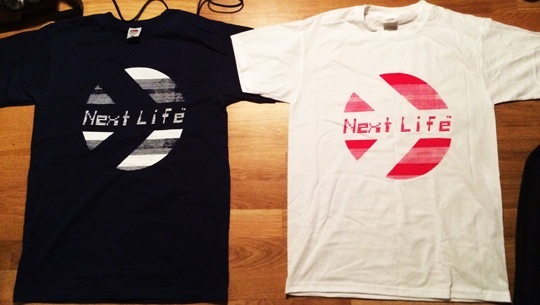 Anyway, Next Life T-shirts comes in red, blue and black, small and medium size. Will be sold at Tiger in Oslo and at our gigs of course. Thanks to Handmade Records and Elisabet from Nittedal. USA TOUR CANCELLED: We are truly sad to announce that Next Life was turned down by the Norwgian Art Council and will not go to USA this fall. However, we would like to thank The Assdroids for their efforts trying to get us alææong. We promise to make it next year instead, even if we have to sell our corpses to satan or whatever. SHOW IN BRUSSEL AND RIGA CONFIRMED: We will play in Riga/Latvia with Drumcorps the 7. December, and at the venue Halles in Brussel/Belgium 14. December. More shows to come in 2007! MONO GIG MOVED: This show has been moved to 12. November instead of 26. NEW SECTION WITH GIG INFORMATION: From now on you can go the the SHOWS section to keep track of our future and past shows. THE FEEDBACK: We are truly happy for the response we have got from various people on Myspace and Urørt. It adds very much to the reasons that we already have for doing Next Life. Greets and respect! 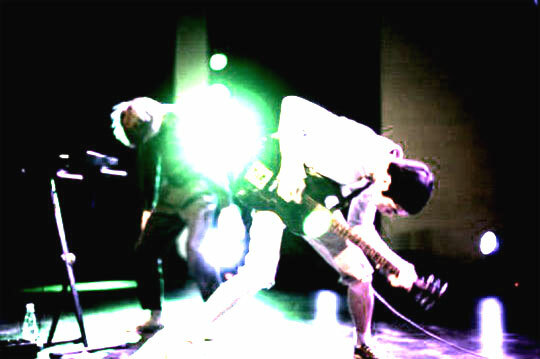 NEW EXCLUSIVE MP3: Added a new version of The Meat Office from Red End 7" to the MEDIA section. This was mainly recorded to test some new equipment , and is not scheduled for any release. Enjoy! JUST GOT HOME FROM DENMARK: Big thanks to Planet Rock, Niels Bötcher and 3rd-Tsunami for making these three shows possible. It was a great pleasure. And also thanks and respect to Ulf, Nadeem and Jacob at Pitstop in Kolding. LIVE REVIEW: Read a live review of our show at the Spot Festival where we had a videoscreen of 12 metres in width! 26. July @ Festugen, Nykøbing Falster/Denmark. 09. August @ Spasibar (Klubb Øya), Oslo/Norway. 25. August @ StåOppJazz, Bergen/Norway. 09. September @ Numusic Festival, Stavanger/Norway. Plus, currently waiting for reply from the norwegian Kulturråd on our application for support, so we can go on US tour with The Assdroids in October/November. Fingers crossed to the max! EXHIBITION: NL guitarplayer Hai will contribute with a video/sculpture installation (Auto Krangel) on this year´s June Exhibition at Kunstnerforbundet in Oslo. You are hereby invited to vernissage with (hopefully) free drinks and alot of fun on the 16. June! BEOYND THE SPIRITS: Trailer for PC/MAC game under development. See MEDIA section! NEW SHOWS: We will play the 3. June at SPOT Festival in Aarhus in Denmark, plus working on shows at Loppen/Copenhagen and Pitstop/Kolding days before. ASSÜCK TRIBUTE AND T-SHIRTS: Handmade Records have agreed to print Next Life T-Shirts in June, and will also release a 7" where we play songs by the legendary Assück! NRK URØRT: Feel free to comment our stuff or leave a message at NRK Urørt or Myspace! REVIEWS: Yay! Two more in the ABOUT section. 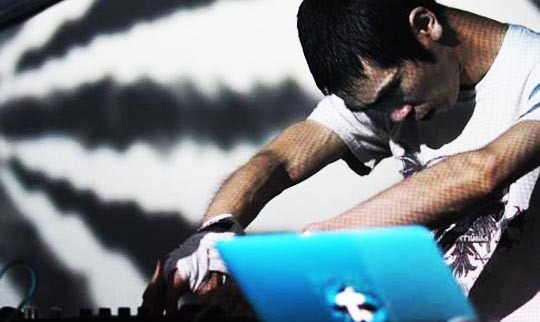 INTERVIEW: Most recent interview by Michael Mueck at Cuemix, also in the ABOUT section. MEDIA: Several new tracks and videos uploaded in the MEDIA section! INTERVIEW: Dense were so kind as to ask us some questions, read the interview here. METAL SLUG: The Metal Slug people decided to use the Next Life track Red Stone for a promotional video, sneak a peek here. REVIEWS: Tons of reviews coming in, but many in German, Italian or French. If anyone with the skills would take on the task of translating these, we would really appreciate it. In fact, we give away a free copy of the Red End 7" for each of the languages, deal? Mail us if you´re interested. CANCELLATION: We are sorry that the I.D.E.A.L concert in Nantes/France got cancelled because of strike amongst the SAS Airline employees in Norway. We would love to try again later! WEBSITE: First of all, the Next Life homepage is finally up! Thanks to Are Mokkelbost for helping out.